When you are blogging, traffic is everything. Especially if you are looking to make money from your blog. More traffic equals more advertising revenue and more sales. I will never forget that first thrill of knowing that someone was reading my work. But who exactly is reading your posts? How can we benefit from knowing who they are and why they are reading? 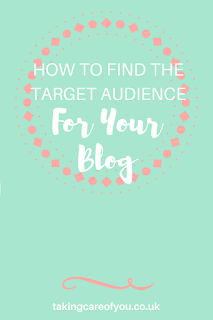 I’m going to show you an easy way of finding exactly who is reading your posts and how this can change the way you write your content and, like in my case, improve it. As I explain each step, I will use my target audience as an example. So how do you find out exactly who is reading your blog? To build a complete picture of your readers you need to find the answer to several questions. 1. What age and gender are your target audience? To find out you need to head over to google analytics. Select audience - demographics - overview. You will see 2 graphs. As you can see, my audience is overwhelmingly female. Now this one wasn’t much of a surprise. Most of my audience is in the 25-34 age group, with 35 - 44 the next highest. Still on google analytics, select audience - geo - location. You will now see an interactive map. The shading on the map will show the countries with the most users. You can also click on each country to see an exact user count. This one is particularly important to me because the majority of my audience is in the USA but I am in the UK. I have to be mindful of this, not only when writing but when I’m sharing my content. I have to work out the best times to share in a different time zone. This does result in some very late nights but luckily I’m a bit of a night owl. 3. Where does your target audience hang out online? Ok so, google analytics - acquisition - all traffic - referrals. You will then see a list of your traffic sources, starting with the highest. So now you can see where your readers are finding you. Pinterest is my main source of traffic so I know that’s where my audience spends their time online. 4) What is your target audience interested in? What problems do they have? Now this one can take a bit of research. Head over to your page views on google analytics and check out your most popular posts. Which topics are getting the most clicks and engagement? I find that my posts on stress, self care and journaling do the best. In google search console you will see what your organic traffic are searching for when they find your posts. The top 3 search terms for my organic traffic are - breathing exercises for stress, journal writing prompts, and self care for beginners. If you get a lot of traffic from Pinterest you can check out your analytics and see who is pinning your stuff. What else are they pinning? You can also see a list of interests for your Pinterest audience. People who repin pins that lead to my site are also pinning stuff on health, fitness, healthy eating,self care, mental health and personal development. Now if you have answered the 4 questions above you will have a pretty good idea of who your ideal reader is. Using all of the information you have gathered, grab a pen and paper and write as much detail as you can about who your ideal reader is. Give them a name, do they have a job? Where do they live? What do they love to do? Make this person as real as possible because from now on, this is who you will be writing every blog post for. Knowing exactly who will be reading your post allows you to engage with your audience in an authentic way. It’s so much easier to talk to someone you know, isn’t it? My ideal reader is called Jessica. She is 32 years old and lives in the United States. She works very hard and has little time for herself. She tends to get easily stressed and overwhelmed, and knows she needs to address that. She has low self esteem and has a habit of worrying and overthinking. She would love to take better care of herself but isn’t sure how to fit this into her busy life. She likes to browse on Pinterest and is interested in learning how to have a healthier life. She keeps a journal and looks out for journaling ideas and prompts. Jessica is quite disorganised which affects her productivity at times. She feels there are parts of her life that are messy and cluttered. Now that is an awful lot of information but I promise, the more detail you put in the easier it will be. Having all of this information about your audience allows you to identify their problems and then solve them. I personally find that writing for someone I know so much about allows me to write in a much more informal. I then come across as much more approachable and accessible. You will find it so much easier to engage with your audience. Find out the age, gender and location of your audience. Find out their interests and what they are searching for online. Write down exactly who your ideal reader is. Using as much detail as possible. 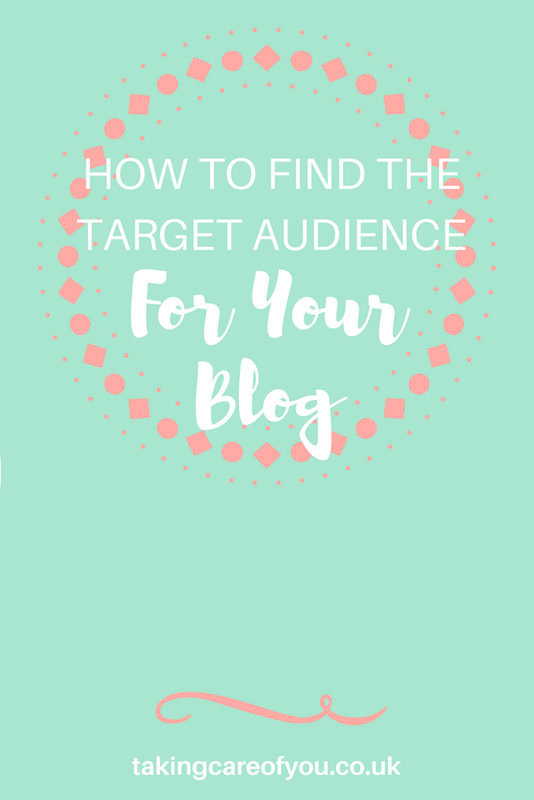 Using all of this information identify your audiences problems and solve them with your blog posts. Have you followed this process? Did you find it useful? Let me know in the comments.